COOPERSTOWN — The 2018 FARMSAFE FOR KIDZ poster winners were announced July 9, at the annual Farmers’ Museum Junior Show. First place winners and second place winners received gift checks in the amounts of $30 and $20, respectively. All participants, 11 in total, received a small gift from NYCAMH for their artistic farm safety efforts. The poster contest is sponsored each year by the New York Center for Agricultural Medicine & Health. This year’s judges were Joaquim Landers, Michael Kern and Margie Knight. The contest coordinators were Rosemary Brodersen and Pauline Boyer. Category topics for the contest are based on farm injuries and fatalities reported in New York state, with this year’s topic titled “Water Safety: Farm, Farmstead & Recreation”. Second place — Abbie Ainslie, 13, Otsego County. Lucinda Bishop of Delaware County; and Mason Yacobucci of Schoharie County. All winning posters will be on display at NYCAMH in Fly Creek during July and August. 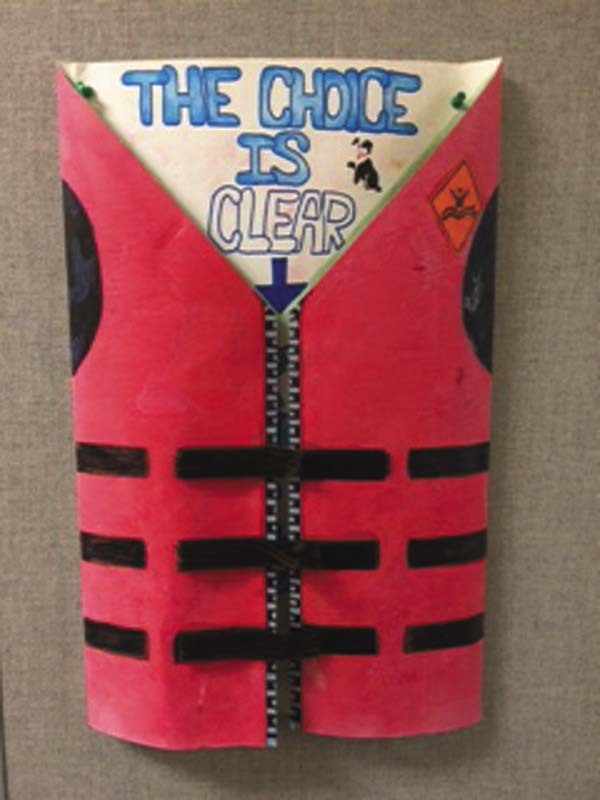 Winning posters will be displayed at the Farmers’ Museum Harvest Festival Sept. 15 and 16 and at the home schools of the winners during National Farm Safety and Health Week, Sept. 16 through 22. For more information, call NYCAMH at 800-343-7527.